What did the world’s first industrial war do to the minds of people who fought in it? 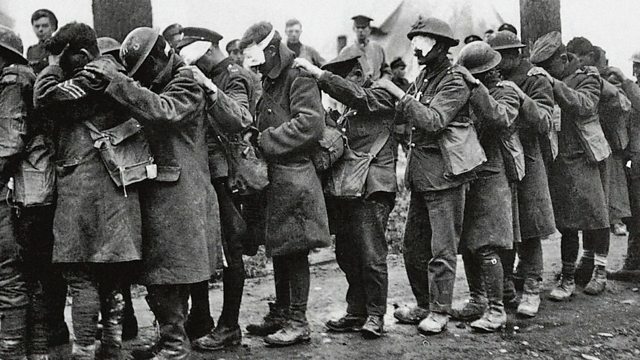 Amanda Vickery explores the mental motivations and psychological impacts of World War One. One hundred years ago World War One set the course for the twentieth century; for the countries that took part nothing would be the same again. In this worldwide series of events with the British Council, we look at the impact of the war from around the world. The third debate of the series comes from The Imperial War Museum in London as we explore the psychology of war. What drove men to volunteer for the war? What drove them to the edge of sanity when they got there? Historian and broadcaster Amanda Vickery is joined by a panel of experts and a live audience to explore the mental impact of fighting the war at home and abroad. World War One experts Dan Todman (Queen Mary, University of London) and Michael Roper (University of Essex) are joined by the celebrated cultural historian, Joanna Bourke (Birkbeck, University of London), who presents her specially commissioned essay, Shell Shock and the Shock of Shells. What would you send to the front in WW1?